Picky decorators that demand quality, hot sleepers, and bargain hunters all have one thing in common – they are frustrated with their options for bedding. That’s where PeachSkinSheets comes to the rescue. PeachSkinSheets is your one stop shop for sheets that look and feel luxurious, while being durable, practical, easy to care for, high quality, and long lasting. 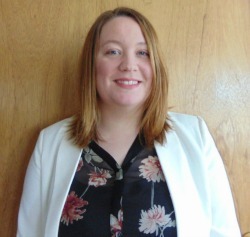 PeachSkin Sheets has taken the hassle out of searching for sheets by delivering on the promises that they make to their customers. These are the SOFTEST, and overall BEST sheets you’ll ever own. 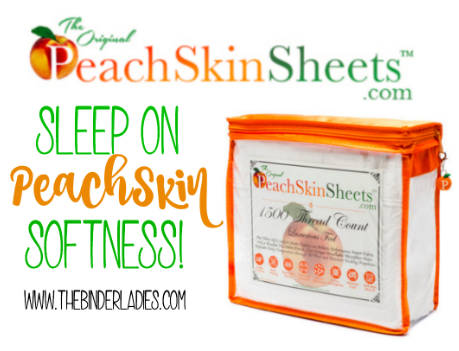 Enter to win a set of PeachSkinSheets – your choice of color and size! The participating bloggers are not responsible for prize shipment, nor were they compensated for this post. Winner will have 48 hours to respond to an email from thebinderladies@gmail.com, to claim their prize, before a new winner is selected. Consider adding this email to your contact list. This giveaway is in no way affiliated with any social media platform. Prize redemption will be verified. I like the new cotton candy pink for the Breast Cancer Research Foundation. I would like the midnight black full sheet set. I would love to have the Beach Blue Queen set. I’ve been wanting these sheets for a while. I love that they have 18″ pockets, and they are sooo soft. Id get a king size set in graphite grey.